Our fundraising campaign has been extremely successful thus far with many children arranging their own projects and many parents making generous donations. 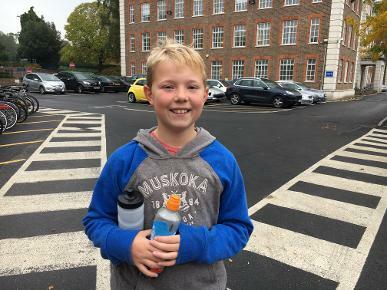 * Ben and Toby Proddow, who swum 40 lengths of the Roehampton Club pool, cycled round Richmond Park and completed a 4km run raising £1030. * Will Weir, who took part in the same event and raised £560. * Fergus Callington, who was also in the mix raising £560. * Olly Richards, who completed a sponsored walk round Richmond Park, raising £500. * Eddy Vigar, who completed a mile swim and raised £408. * Jackson Smith and family who donated £300. * Ben Grainger, who sold umbrellas donated to him by a cricket enthusiast and raised £252. * George and Ned Buckingham, who raised £250 from various sponsored gardening projects, including shifting 1,500 litres of wood bark. * Ronin and Shane Kenny, who raised £200 completing their own triathlon. * The Ray family, who donated £200. * The Shori’s, who donated £200 and a mini bat autographed by England one day skipper Eoin Morgan for the Silent Auction. * Richard Barlow and Johnny Weir donated drinks to the club for various events, raising £185. * Richard Barlow, who donated a case of Hop House 13 and a bottle of Tanqueray Gin for the Colts Dinner Raffle. SCORCHING SUCCESS: Ronin and Shane Kenny, Will Weir, Fergus Callington and Toby Proddow, all of whom competed a triathlon to raise funds for the Colts. * Arjun Bhat who was sponsored £'s for every run he scored last summer and his mum, Samia, who donated a ‘Millesime’ bottle of Laurent - Perrier 2006 champagne for the Auction. * Marcus Bolitho, who was instrumental in the production of the fundraising leaflet. * Harry Kline, who plans to complete three legs of the half Iron Man! An 1800m swim, 90km bike and 22km run. Very well done to all those who have contributed so far! For those of you who want to undertake your own fundraising exercise but have misplaced the leaflet posted out to you, please let me know. I can send you a PDF. WE ARE NOW LOOKING AT STAGING A GROUP FUNDRAISING EVENT - A RUN, CYCLE RIDE OR THE LIKE - TO HELP THOSE OF YOU WHO HAVE NOT HAD TIME TO MANAGE A PROJECT OF YOUR OWN, IN THE NEW YEAR. READY EDDY: Eddy Vigar after competing his one mile swim and raising £408. * Jamie Cowley’s family, who donated £150. * The Bull family, who donated £125. * Liam Botteriel who has promised to shave his hair off. He has so far raised £125 in pledges. * Rufus Goodman who recently competed a 10 mile walk from Sheen Common to the Oval in full batting gear. He raised over £100. * The Swan family, who donated £100 and provided an auction prize: A Champagne and Strawberry Hot Air Balloon Flight for two. * Joseph Belfield, who donated £100. * The Clark family, who donated £100. * The Jacomb family, who donated £100. * The Manuel family, who donated £100. * Luke Magalhaes who has designed and is selling Sheen Scorchers wristbands and so far has raised £80. * Matty George, who did a ’spring clean' of his home and found £71 in loose change and his parents, David and Jenny, who donated a 12 year old bottle of Aberlour scotch whisky to the Auction. * The Barrett family, who donated £50. * The Tocker family who donated £50. * The Ossman family, who donated £40. 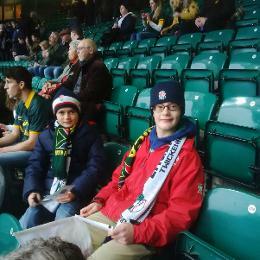 * Neil Rogan, who donated two tickets to both an Autumn Rugby international and a Six Nations clash at Twickenham this winter season. * Simon Bell and Green Owl Renovations, who donated a room makeover. * Nick Compton, who donated an autographed England Test Shirt from the series v South Africa last winter. * Robyn Phillips who donated a free osteopathic consultation. LEADING FUNDRAISERS: The Proddow brothers raised over £1000.